Our latest issue of Little Star, the print magazine, is thundering in our direction, and time remains to order it at it’s larcenous pre-publication price here. The issue includes excellent work by Michael Kimball, Aaron Their, April Bernard, Les Murray, Robert Wrigley, Rowan Ricardo Phillips, Cynan Jones, Tadeusz Dabrowski, Gro Dahle, Susan Wheeler, Anthony Madrid, Robert Wrigley, Derek Walcott, Josefine Klougart, Maria Stepanova (translated by Sasha Dugdale), Friedrich Hölderlin (translated by Bruce Lawder), Michael Palmer, Nina Bogin, Barry Gifford, Mary Jo Salter, Rosanna Warren, Serhiy Zhadan, more. Our beautiful cover features a painting, on Venetian plaster on a wood panel, by Alison Hall. Hall has for years been paying annual visits to Assisi and Padua to study Giotto’s patterns, and looking at her work indeed feels like entering a quiet place. 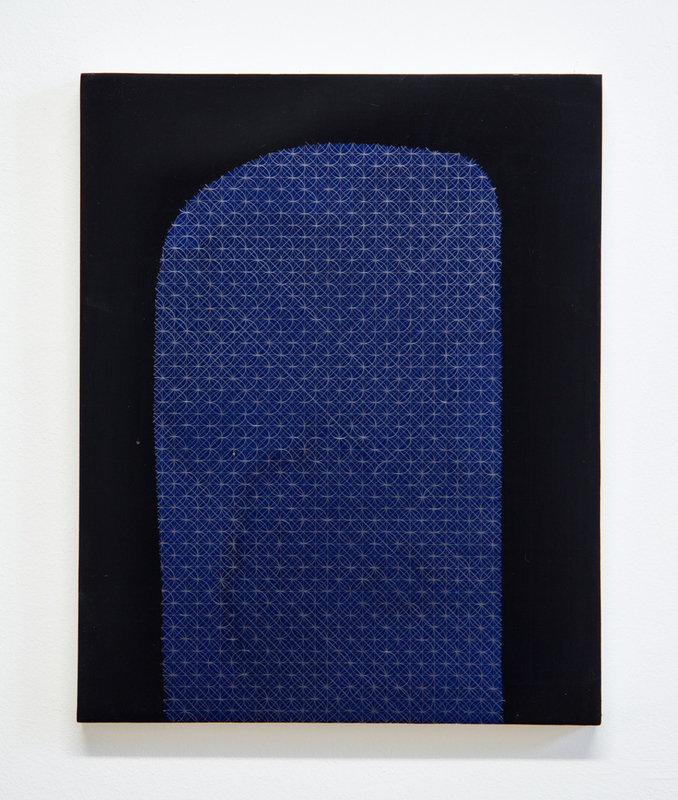 The black in her blue and black paintings refers to the floor tiles of the Scrovegni Chapel and the blue to its ceilings, giving a name, “soffrito,” to one of these series. Her work will be shown at Galerie Gisela Clement in Bonn, Germany, starting March 23, alongside a project with Selected Art Models opening on April 21 in Cologne. And a book of her work will be appear with TOTAH in the spring, with essays by Alexander Nagel and Alex Bacon. Read this essay on her show at TOTAH last fall by poet John Yau, from whom we have stolen the details about Giotto, and floors and ceilings (we didn’t even know that when we picked the painting!). photo: Christoph Jaschke (Galerie Gisela Clement).